An investigation by Reveal on Monday showed that at least 16 young immigrants—as young as nine years old and in need of mental or behavioral health treatment—have been sent by the Office of Refugee Resettlement (ORR) to “off-the-books” facilities outside the network of federally-funded detention centers. The administration is housing immigrant children with an even greater degree of secrecy than was previously known, in violation of U.S. law. 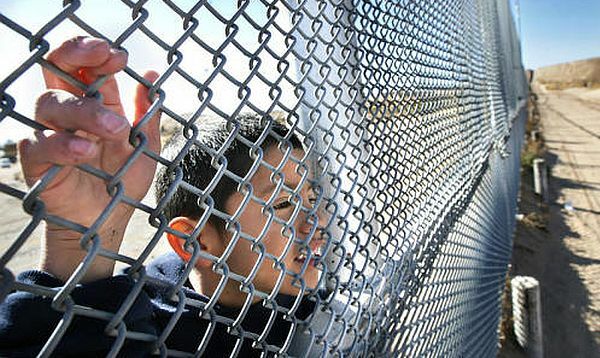 The Flores settlement of 1997 requires that minors are held in U.S. custody for no more than 20 days and demands that the federal government share with a child’s attorney the minor’s whereabouts and release him or her to a sponsor as soon as possible—two stipulations that the ORR has blatantly flouted with its use of secret facilities. “Detained unaccompanied children with mental health issues are some of the most vulnerable children, and when the government does not provide access to their whereabouts, it calls into question the basic underpinnings of our democratic institutions,” Holly Cooper, an attorney representing unaccompanied minors in a class action lawsuit, told Reveal. Reveal’s report was met with shocked reactions from rights groups and other critics on social media. Néstor Dubón, whose 16-year-old cousin has been in U.S. custody for two years, told Reveal that ORR did not disclose where it was sending his cousin when he was transferred from a federal detention center in Virginia. The government told Dubón that his cousin would be held in Arkansas, but didn’t say he was being sent to a privately-run facility, Millcreek Behavioral Center. “ORR needs to provide answers immediately about where they are holding asylum-seeking children, and what, if any, child welfare regulations those facilities are meeting,” Merkley said.